A dive watch is a timepiece that’s designed to be worn while doing underwater activities like scuba diving. Although dive computers are more sophisticated in terms of features, dive watches are still popularly used as a backup. 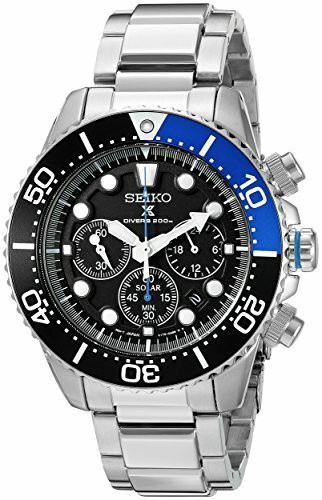 If you need a good dive watch, we have a roundup of the best Seiko dive watch that you can find in the market. Seiko has been in the business of making quality watches for 130 years, and the brand has been releasing dive watches since the 1960s. While Seiko is not as popular as other larger luxury brands, they offer watches with excellent craftsmanship and come at a great price. Seiko dive watches are solid options if you’re looking for a dive watch that won’t break the bank. With that said, let’s proceed to the list. 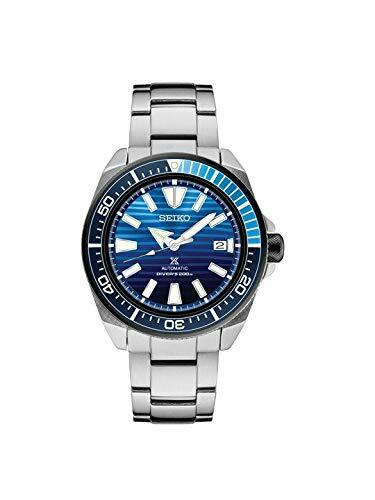 The Seiko SSC017 Prospex Dive Watch captures the excellent balance of elegance and sportiness. This is why this versatile timepiece is our top pick for the best Seiko dive watch. If you are looking for a green and sustainable dive watch, look no further than the Seiko SSC017 Prospex. The watch is powered by solar energy and its mileage is amazing. With one full charge under the sunlight, the Prospex will run up to six months at a time. The watch’s 44m case is constructed from stainless steel and comes with a matching bracelet. The bracelet features the standard fold-over clasp and double-push-button safety. At 44m, the watch may be a bit larger than some people would like. Plus, the 14mm height will give the impression that the watch stands too tall. However, the size and height are never an issue as the watch still provided a comfortable fit. I also love the black bezel with a splash of blue from 12 to 3 o’clock. This design gives the watch its dive identity and adds a nice sporty element to it. There are also three subdials that show the chronograph features. Seiko did a great job with the placement of the face elements without looking too cramped. Whether you’re looking to buy a reliable but affordable dive watch or getting into the Seiko brand, the SSC017 Prospex comes highly recommended. The Seiko SRP777 Prospex Turtle Automatic stands out as one of the most distinguishable dive watches I’ve ever seen. Underneath its unique appearance, it’s a great dive watch at an equally great price. I know what you are thinking, “that is one bulky watch.” The Seiko SRP777 Prospex Turtle Automatic is actually a remake of the old dive watch 6309-7040, a super popular dive model a while back in the 70s. It became such a noteworthy model due to its bulky profile, thanks to its oversized lugs. If you can get past the bulky appearance, there’s a lot of dive watch that’s being offered here. Those who are familiar with the original will notice the drilled lugs which is a noteworthy improvement. Like the previous model, the SRP777 Prospex Turtle uses the Hardlex crystal to protect the dial. This provides the watch with respectable durability and makes it more suited to outdoor environments. The included LumiBrite technology is also a nice upgrade over the original. The color combination of white and black looks great and makes the watch easier to read, even underwater. Although it looks rather bulky, it’s still a 4mm watch which is fairly average for some people. Still, users with smaller wrists may find it too big for their taste. The vintage design and reliability of the SRP777 Prospex Turtle really seal the deal for me. The Seiko SKX007K2 Diver’s Automatic Watch is one of the brand’s best-selling dive watch, and it’s easy to see why. Initially, I was interested in the watch due to the price but its value has definitely won me over. The SKX007K2 earns the distinction of being one of the most affordable models on this list. However, don’t ever think that Seiko skimped in terms of performance or quality. The watch features a 42mm which should fit just right for the average user. The case is made from stainless steel and comes with a unidirectional bezel. It’s a black dial watch with white numerals which makes it a breeze to read the watch while scuba diving. The indices are fitted with a luminescent coating which is charged via sunlight. At low light environments, it basically becomes a glow in the dark watch. The watch is powered by the 21 jewel automatic caliber Seiko 7S26 movement which relies on the user’s arm movement. As for the looks of the watch, this is about as classic as you can get with a Seiko watch. It has just the right amount of ruggedness but it still looks elegant. It’s a good watch to wear whether it’s a casual or casual dressy attire. It looks and feels good to wear, an amazing value indeed. We have another entry from the Prospex collection and I have to say, it’s one very good-looking watch. The Seiko Prospex SRPC93 “Save The Ocean” Samurai dive watch is an insta-buy if you like your dive watches in sea blue. The Seiko “Save the Ocean” collection is a collaboration with Fabien Cousteau, the grandson of the legendary French documentary filmmaker and oceanographer Jacques-Yves Cousteau. The colors of the watch are supposed to represent the gradual darkening of the water as divers go deeper. It’s really impossible to talk about this watch without mentioning the SRPC93’s striking dial. The color and the design of the dial is simply brilliant, and it’s one of those things that you have to see in person to really appreciate. One cool detail is the wave-shaped striations on the dial. The pattern is not perfectly parallel or symmetrical but it’s more of an organic formation like the ocean. The sword minute hand and the arrow hour hand are also amazing details that really points to the theme of the watch. If you missed out on the early “Blue Lagoon” collection of Seiko, don’t make the same mistake and pass on the “Save the Ocean” collection. Even if you are not a fan of Seiko, there’s a good chance that you’ve seen its iconic “Pepsi” bezel on some of its models. Of course, the Japanese watchmaker won’t pass up the chance to use its classic bezel on one of its dive watches. This time, it’s the Seiko SKX175 Automatic Dive Watch. The 42mm case is just the right size for a dive watch, nice and compact. 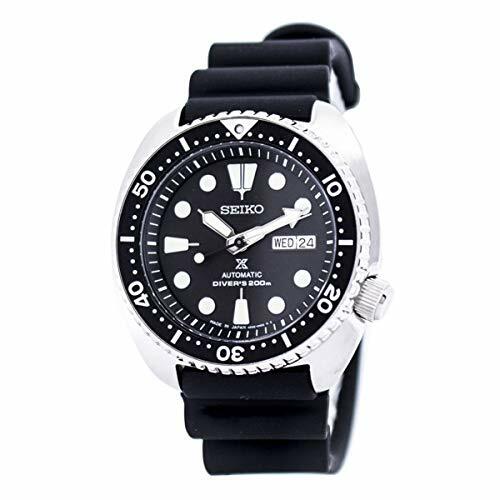 As with the majority of Seiko dive watches on this list, the SKX175 comes with a stainless steel case and Seiko’s signature Hardlex crystal dial window. The Pepsi bezel is unidirectional and it really stands out with its combination of the red and blue color scheme. This is a classic but still interesting bezel design. The dark blue dial provides a pleasant contrast to the red accents of the bezel. However, the numerals and the indices look rather too flat for my taste. The watch is powered by the Japanese Automatic movement, the 7S26. This particular movement is widely used for Seiko’s lower-end models but it’s fairly rugged and reliable. 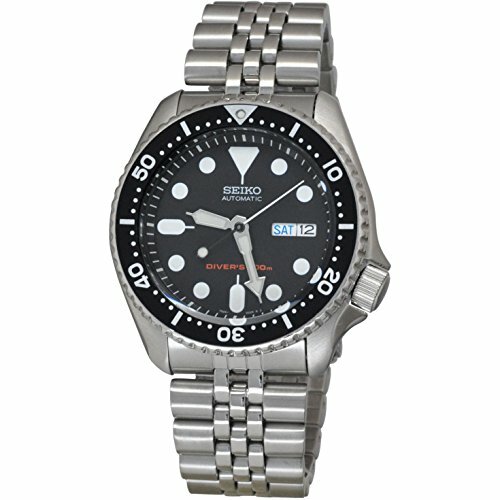 Overall, the Seiko SKX175 Automatic Dive Watch is an excellent entry-level dive watch for those who are in a budget. 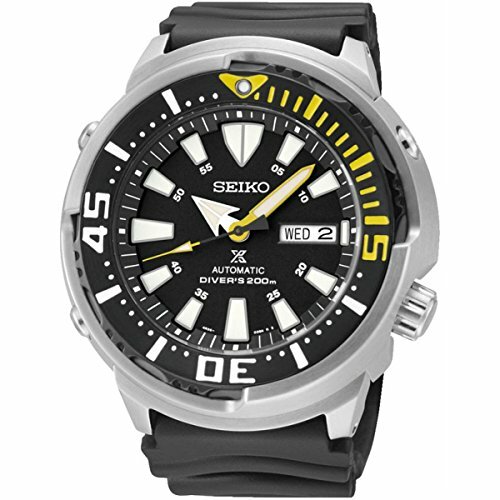 The Seiko SRP639K1 Prospex is also fondly named as the “Yellow Fin” Baby Tuna. In case you don’t know, Seiko has a popular Tuna line and the SRP639K1 is definitely a worthy addition. This is the best Seiko dive watch for you if you’re in the market for a model with a yellow bezel. Sure enough, the main draw of this watch is the “bumblebee” inspired bezel color scheme. The stainless steel shroud in combination with the black bezel with the white and yellow accents provide the SRP639K1 Prospex a unique aesthetic. On top of the eye-catching design, the watch houses the dependable 4R36 Automatic movement. It’s not the best movement I’ll choose for this watch but it’s more than serviceable. However, keep in mind that it wears rather large and sits quite high on the wrist. This concludes our list of the best Seiko dive watch that you can buy. 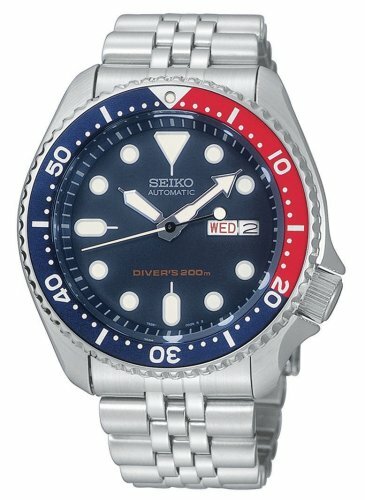 Hopefully, this guide has helped you choose the ideal Seiko dive watch that fits your needs.